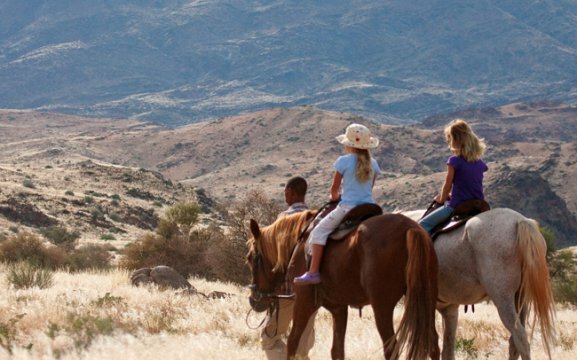 Namibia Horse Safari Company has over 20 years of experience offering the most unique kind of safari – the best of Namibia from the back of a horse. 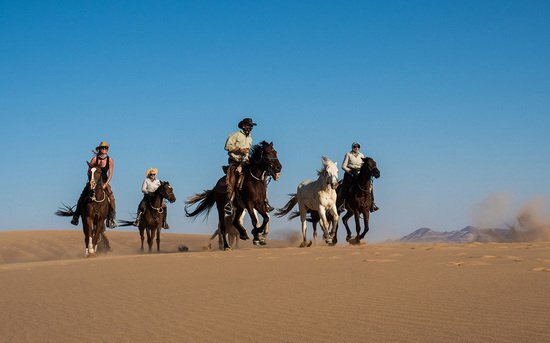 Offering both 10 night camping safaris as well as shorter lodge-based rides, these riding safaris are all in Namibia’s most exquisite wild places. 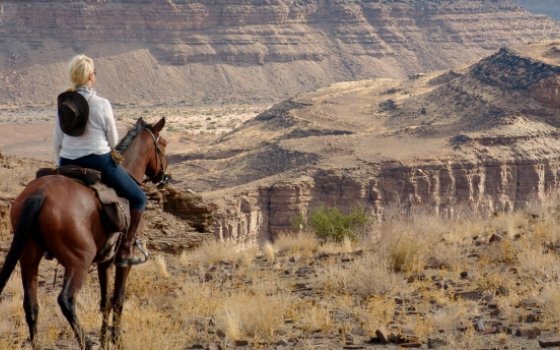 We have the Namib Desert Safari, the Damara Elephant Safari, the Desert Canyon Safari, the Wild Horses Safari and of course the Exploratory Safaris. 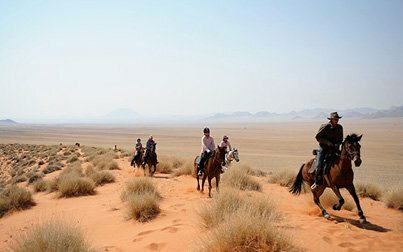 Crossing the Namib Desert on a horse is on many a horse-lover’s bucket list and most come back to do many more riding safaris – it’s quite addictive!! 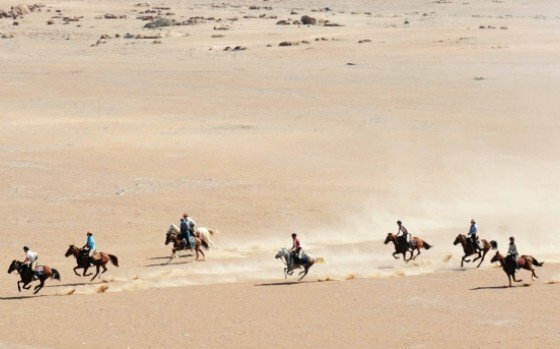 Owner-guided and run, we uphold a strict environmental code of conduct in this most fragile of desert habitats. 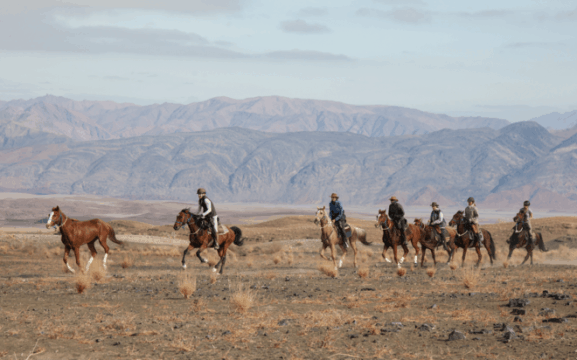 We have horses from both local and distant origins – mostly crossbreeds including Trahkener, Hanovarian, Shagya Arabs, Boerperde and the more recently Arabians and Quarter Horse crosses and also Haflinger. 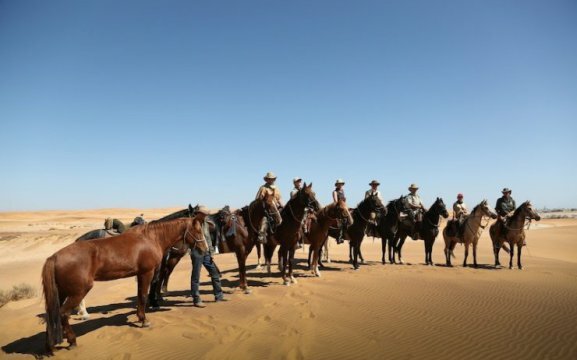 We have included some purebred Nooitgedacht horses due to their hardiness but gentle temperaments.